Leaving the house now and then. I have been out eating and drinking entirely too much lately, and it is beginning to show in the way my pants (fail to) fit. I would whine and carry on about how cruel life is... but good food is not exactly a curse, so it's not like I will earn your sympathy. The first set, strangely enough, featured an arrangement of Blondie's Heart of Glass, which was done so cleverly that it took a while to identify itself, since it came through as pure jazz... And the second set was even better than the first. The following week was the stellar Black Francis show, which I wrote about previously. This past week brought me back to the Rickshaw Stop for The Definite Articles (who have a new song! 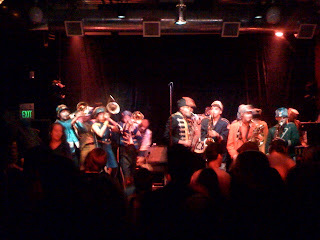 ), the Brass Liberation Orchestra (who gave themselves a longer-than-scheduled set, from what I understand), and Mucca Pazza (mucca-pazza.org), who were fun fun fun fun fun. 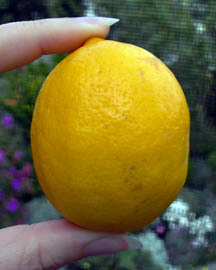 They are like... The Extra Action Marching Band, except they all keep their clothes on! They are like... The Infernal Noise Brigade, except they are still together and they wear mismatched costumes! They are like... people I might have hung out with in school, if I had actually signed up for band/orchestra, which I did not, but those of you who were in band/orchestra who I do hang out with could have turned out to be these people if you had been... significantly less sedate and more inclined to grow facial hair?? Maybe? MP is extremely fun. Talented musicians! Energetic peformers! 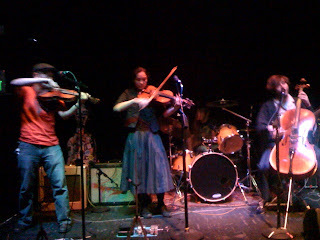 They dominated the Rickshaw Stop. The show was enthralling, and audience bounced out merrily into the streets at the end of the encore. Little did I know that I would be able to enjoy Mucca Pazza live TWICE in the same week, for they were also the headliners at the Tour de Fat (followyourfolly.com). 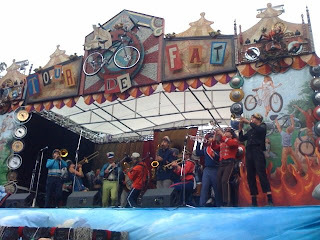 The Tour de Fat is New Belgium Brewing's fabulous summer festival series dedicated to raising money for biking and open-space causes in the localities where they put up their tents. Which means that people can come out for a day of free entertainment, show off their fancy custom bikes, and buy delicious, 16 ounce New Beligum beers with all of the proceeds going to organizations I love dearly, especially the San Francisco Bicycle Coalition. The weather was terrible for an outdoor festival, but the festival was a blast, and I was there from 8:30 until it shut down. Have I mentioned that I love bike people? I love bike people. Visit the bands' websites to hear their great stuff.